Dental Smiles > Blog > Uncategorized > Where can I find a Cosmetic Dentist in Austin? Knowing that your smile is not as beautiful as you’d like it to be can affect your confidence and outlook. Luckily, patients who live in Travis County, Texas, can turn to an outstanding cosmetic dentist in Austin for help. At Dental Smiles, conveniently located in the heart of Austin, we help patients achieve a smile that is at once beautiful, functional, and long-lasting. Dr. Divya Shetty and her team offer a comprehensive range of the latest in cosmetic dental treatments so that you can enjoy the smile you have always wanted. At Dental Smiles, our extensive selection of cosmetic dental services offers several remarkable ways to improve or transform the look of a less-than-perfect smile. If you are looking to mask significant imperfections like chipped, gapped, or misshapen teeth, porcelain veneers may be the right treatment for you. 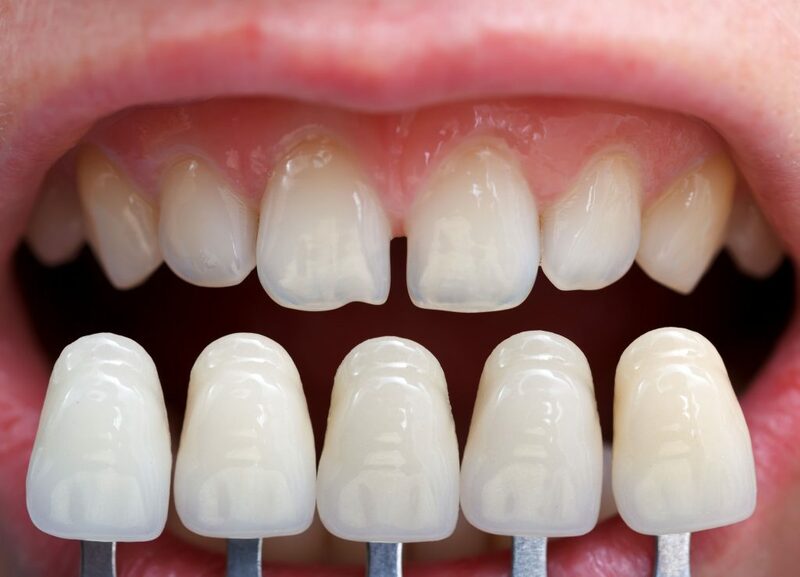 With ultra-thin facings custom fabricated from the highest quality dental porcelain your smile can be transformed into one that appears flawless. Our cosmetic dentist in Austin considers porcelain veneers to be a ‘go-to’ cosmetic enhancement because they require little preparation of your underlying tooth structure and because they become extremely strong and durable once bonded to that natural tooth. They are also exceptionally versatile in that they can be easily customized to fit the shape of any patients’ smile. You can rest assured that your cosmetic dentist in Austin will take your aesthetic goals into account and tailor your smile makeover to suit your individual needs and to fulfill your expectations of care. When it comes to improving or transforming the look of your smile, make Dr. Shetty of Dental Smiles your first choice. For more information about our selection of cosmetic services, or to set up an appointment with your cosmetic dentist in Austin for care, give us a call today.